We Served About 285 Meals at the Bowery Mission! 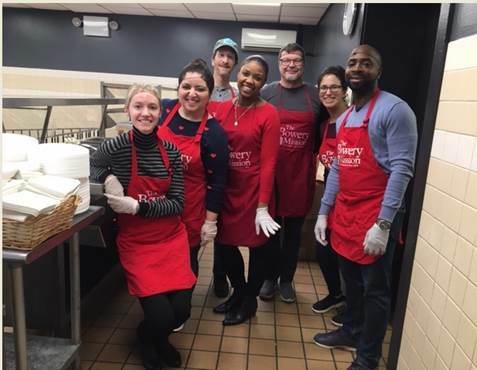 This week was our first volunteer session of 2019 at the Bowery Mission -- we served approximately 275 meals! Many thanks to our firm volunteers: Vanessa Charles, Lawrence Sohner, Jeffrey Chery, Ariana Sarfarazi, Mark Montague, and Lyndsey Waddington. Our next volunteer session is scheduled for April 11th. If you are interested in joining us, please contact Emily Stein at EFS@CLL.com.